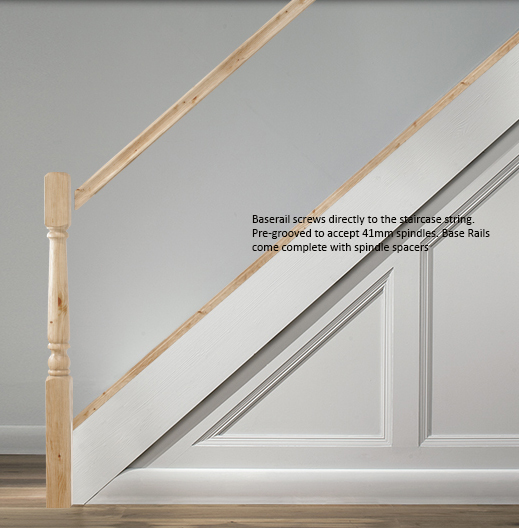 Base Rails are fitted onto the top of the staircase string and directly to the landing floor by screwing through the rail. Always drill pilot holes to stop any splitting and counter sink the screw head into the timber. 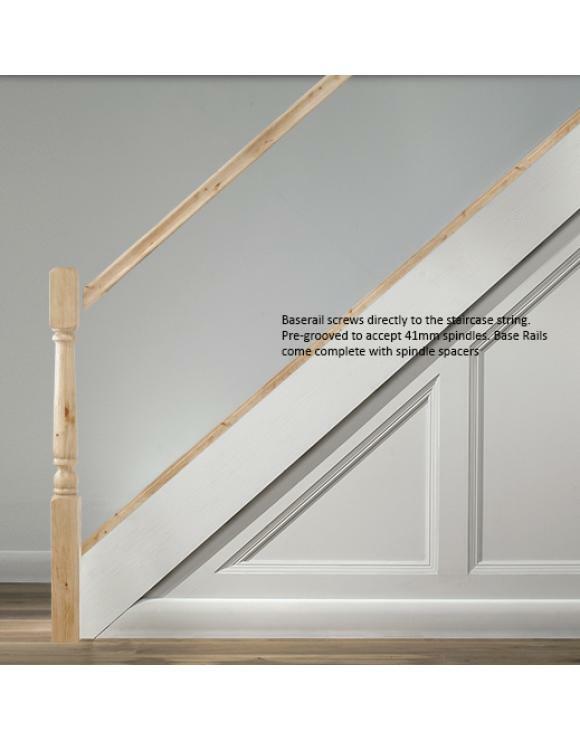 Spindles and fillet strip will cover any fixings to the string or landing floor. 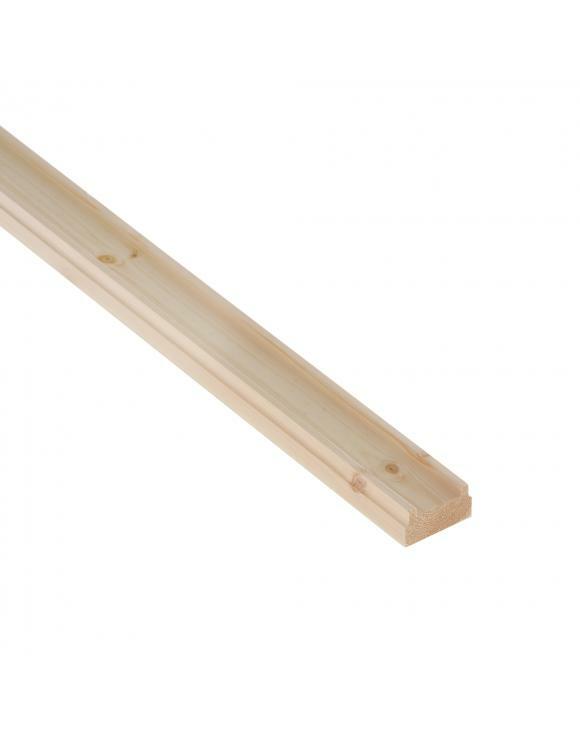 All Base Rails are supplied with spindle spacer/ fillet strip which is cut to size during installation and glued and pinned into the base rail using a suitable wood adhesive and panel pins. 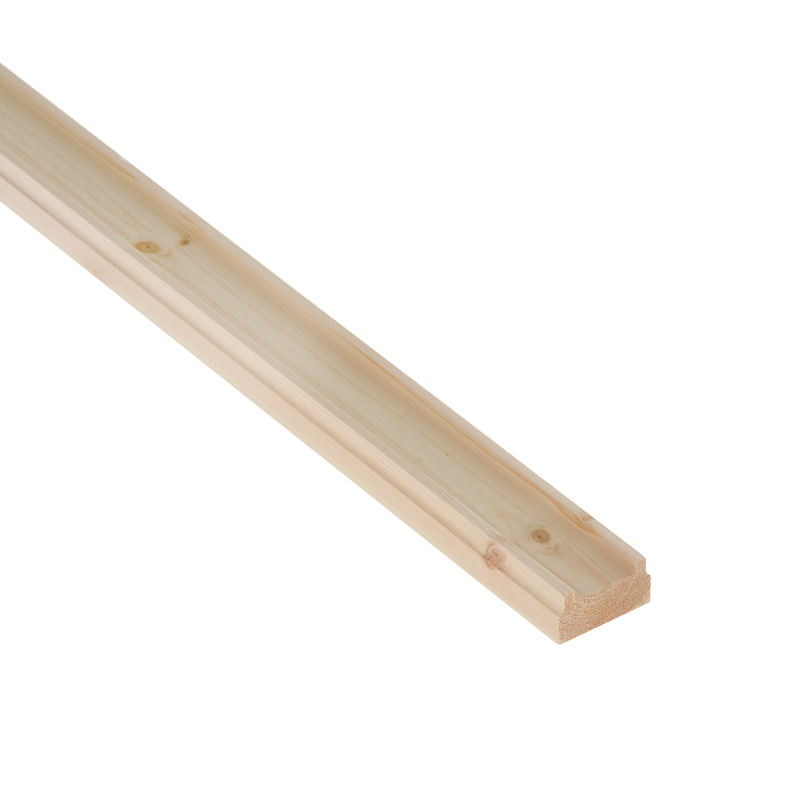 Panel Pins should be counter sunk and filled with a suitable wood filler to match the timber. IMPORTANT - Spindles should be spaced no greater than 99mm apart to meet current building regulations.